IOS 11 Officially Introduced, What Are Its Features? 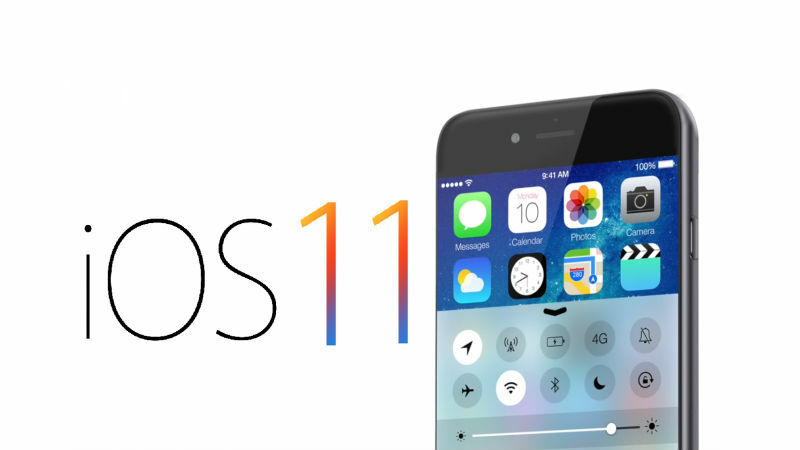 San Jose – Apple finally introduced its newest operating system, iOS 11 at the Worldwide Developer Conference (WWDC 2017) on Monday (5/6/2017), at 10:00 local time. There are many new features in iOS 11 this time, and iPad mentioned will undergo major reshuffle in iOS 11. “With iOS 11, we carry the largest Augmented Reality (AR) platform in the world. One of the major changes that iOS 11 took to focus on one of our devices, the iPad, “said Craig Federighi, Apple’s Senior Vice President of Software Engineering, from Apple Newsroom, Tuesday (6/6/2017). “Operating system updates provide better application functionality, and certainly bring the best features that support productivity,” he continued. Not only the iPad, the iPhone will certainly experience a number of refresh features on iOS 11. What are the excellent features? The iPad’s iOS 11 interface will undergo a major overhaul. The Home menu, dock will come up with a new look like a dock on MacOS, which provides instant access to frequently used applications. The redesigned AppSwitcher now makes it easy for users to sort apps and use SplitView and SlideOver. IOS 11 will finally bring AR technology for iPhone and iPad. This means that there will be new apps on iOS 11, which can be used to interact with virtual objects from iOS device cameras. Siri in iOS 11 will certainly present more intelligent. This virtual assistant will come with a more natural and contextual response. In fact, Siri can translate several languages, including English, German, Italian, French, Chinese, and Spanish. For those of you who have macOS and iOS devices and enough trouble sorting incoming messages, do not worry. IOS 11 will sync messages directly on your iPhone device directly to Mac devices. So when you delete an existing message on your iPhone, it automatically deletes messages synced to your Mac. Not much interface design changes that occur in IOS 11. Apple actually overhauls the design of one minor instrument in the interface, the Control Center tab. If the Control Center tab in iOS 10 comes with a single tab, Control Center in iOS 11 actually comes with a number of small tabs that make it pop up more. Apple Pay on iOS 11 will come with Cash Card. Users will make it easy to save funds directly into their bank account when doing P2P transactions (person-to-person). In addition to the Control Center, the App Store is also experiencing an overhaul of the interface in iOS 11. Now, Apple’s app store has a tab “Today”, which will present applications that are trending. Apple Maps on iOS 11 will have Indoor Mapping feature. So, users can explore the floor map of specific locations such as malls and shopping malls. The feature is currently only available for the Boston, Chicago, Hong Kong, London, Los Angeles, New York, Philadelphia, San Francisco, San Jose, Tokyo and Washington DC areas. IOS 11 will be available to all iOS devices, be it iPhone and iPad, in October 2017. Especially for app developers, iOS 11 beta will be available by the end of June 2017.